I'm here to tell you about the coolest new scarves ever. And the woman who designs them is super cool too. I've known the stunning Dayanne Danier for almost 10 years now. This New York City designer has an incredible sense of style, plus she's a wonderful human being. 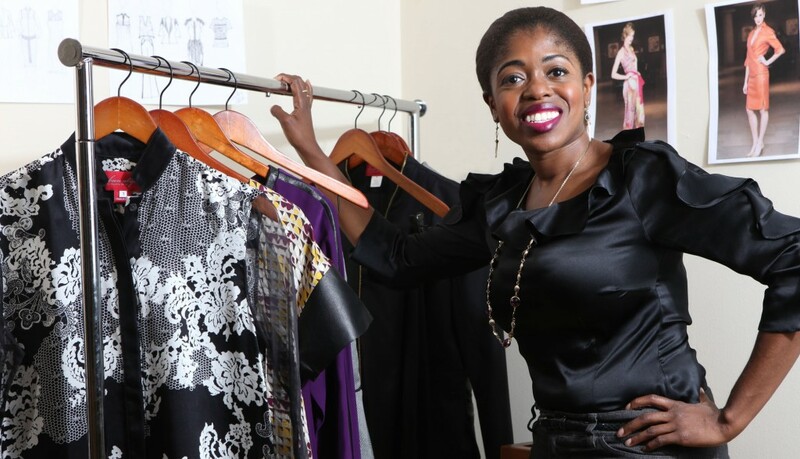 Her clothing line Bien Abye, means "well dressed" in French Creole. Dayanne is Haitian and has strong ties to her heritage. She has a heart of gold and gives back to Haiti in a big way. She started a charity called Fleur de Vie and frequently travels to the country to support the orphanages and to teach valuable job skills to the women. Dayanne is all about giving back and making a difference. Love her. And I also love Dayanne's new scarf collection. 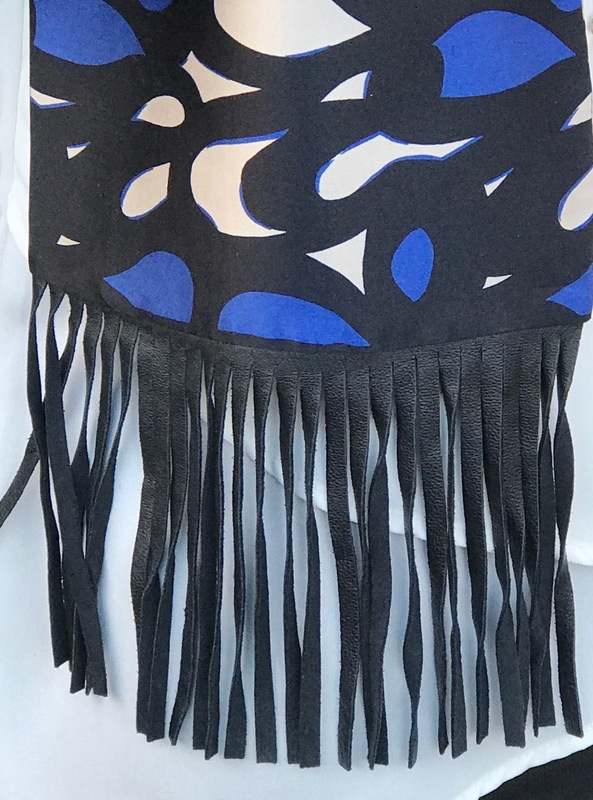 This stunning blue print silk scarf with leather fringe caught my eye. It's SO unique and such a sophisticated yet edgy piece! Necklace is from Bittersweet Designs. 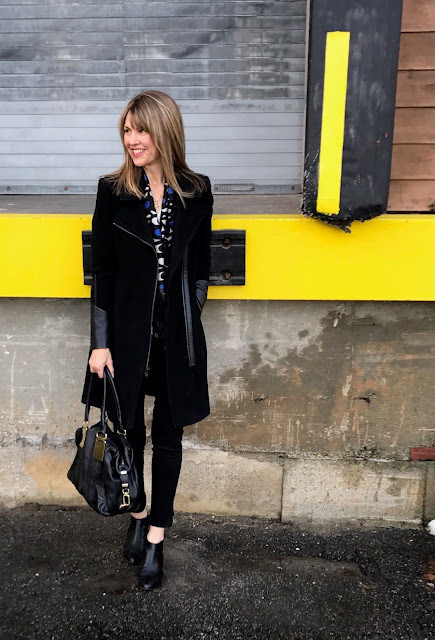 I paired the scarf with a Vince black wool coat with edgy leather trim. 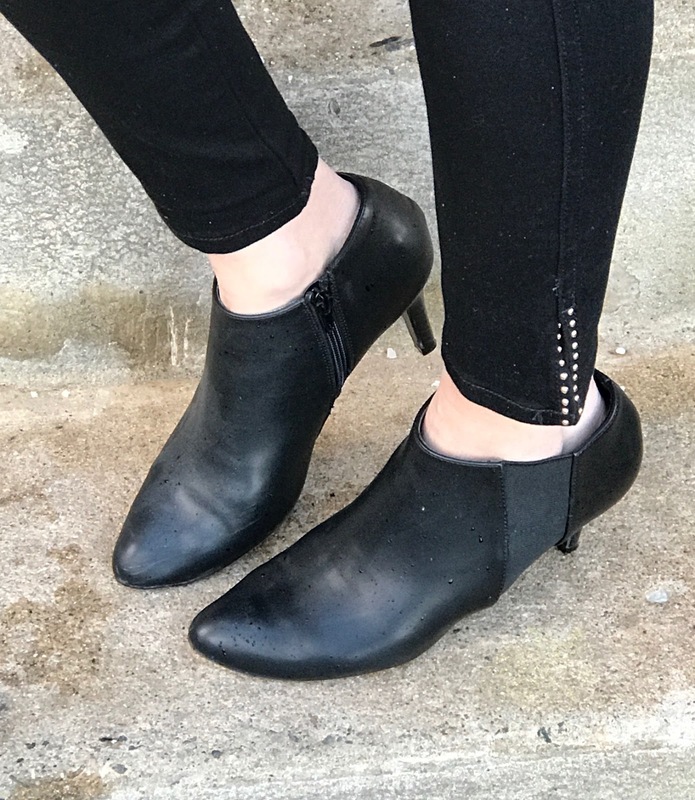 Similar styles HERE (half price), HERE ($67.50! ), HERE and HERE (also Vince and 72% off!!!). 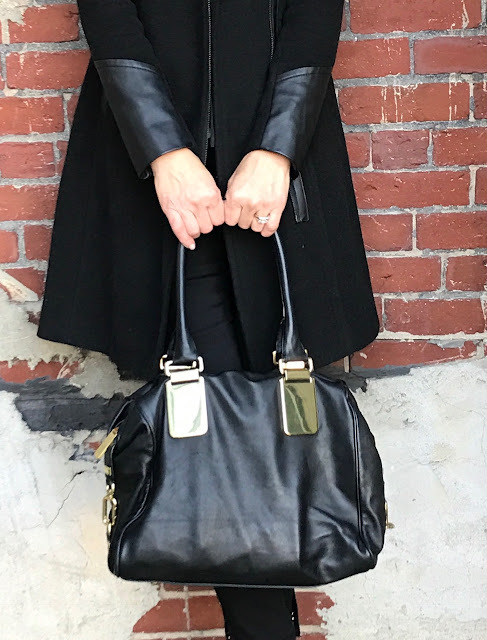 This leather bag is super old--I bought it at Banana Republic years ago! These styles also have similar gold accents HERE (love!) HERE and HERE. These Joe's high-rise super soft jeans have gold studs at the split hem. They are INCREDIBLY comfy in addition to being kind of cool. A simple back bootie (similar) finishes the look. Off to work at Uncommon Threads, thus the industrial looking background. We're located in a old mill building! Hope you'll take a peek at Dayanne's line Bien Abye---grab a scarf or two while you're there! Some links in this blog may generate a small commission and the Bien Abye scarf and Bittersweet Designs necklace were gifted. However, the content of my posts are based on my own honest opinions and are not in any way influenced by partnerships. That scarf is pretty Susan. I love the bold blue pattern and its fun leather fringe. But I am dying over that coat. I love that both the scarf and coat have leather details. This outfit is stupendous. You are so polished and look like a million bucks! Very pretty scarf! Thanks for linking up to Fabulous Friday!